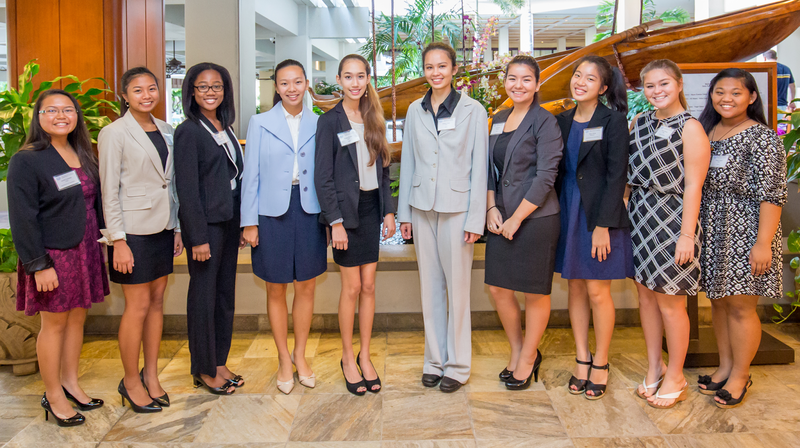 The Third Annual Pacific Model United Nations Conference took place on November 14 – 15, 2014 at the Waikiki Beach Marriott. Fourteen delegates from Sacred Hearts Academy attended representing the countries of Libya, Qatar and Indonesian. Each country had delegates or ambassadors representation on the General Assembly, Disarmament and International Security Committee, and the International Law Commission. For a period of two days, students saw the world, its people, and its problems from a global perspective. Topics for committee discussion included: Water Scarcity, Overpopulation, Weaponization of Seabed and the Ocean Floor, Overpopulation of Antarctica, International Law of the Sea, and Embassy Safety and Security. Preparation was limited to research of their respective countries and writing a position paper on the topics selected for their assigned committees. The real learning took place at the Conference by watching the experts and slowly moving into sub-committees. Academy delegates quickly found their voice and discovered that their vote was needed by others to get things done – they were soon trading and discussing possible solutions with other delegates. They learned a major lesson – there is power in numbers. Ambassadors became experts and activists for “pet” topics; debating rigorously with other delegates to push their views and formulate a resolution to be voted on by the body of delegates. Working the room, building allies and compromise were the order of the day. Some yelling and strong voices were heard; especially when issue came forward for a vote. Clever delegates worked on their colleagues during lunch; moving from table to table gathering votes and convincing the undecided to lend their support. In a few cases trade was taking place - not unlike the real world. As an outsider looking in it was hard to envision the 13 – 18 years old delegates making sense of difficult problems. Perhaps, it was their suits and ties – for they certainly looked the part – No, it was their confidence and conviction that set them apart. 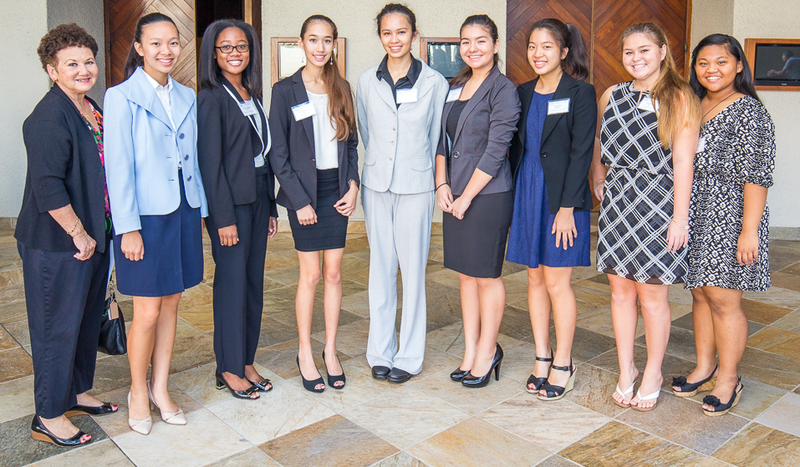 Thirteen schools across our island chain and over 150 participants participated in this year’s Pacific Model United Nations Conference sponsored by Stephen E. & Isabella H. Stevens World Peace Foundation. Academy delegates included: Delegation from Qatar - Raelynn Chu, Alana Stroede, Shelly Aquino, Megan Backus, Kaycee Selga, and Joanne Villanueva; Delegation from Indonesia - Ellie Ramirez, Ji-Won Ha, Taryn Wong, and Faizah Shyanguya; and the Delegation from Libya - Hudson Jones, Justine Sison, Janelle Lauronal, and Suzanne Tsukenjo.